Criminal charges hanging over your head, an impending letter from the courts and the promise of yet more problems in the future. There’s no telling what is going through your head if you’ve been charged or threatened with charges over something that has happened. The only thing you need to worry about is what to do next. The best thing to do when you’re facing up to these problems is to speak to our criminal solicitors in Sheffield who can help create a case for your defence. At Ashmans Solicitors we’re chosen by individuals and representatives of businesses who want to help clear their name, mitigate the impact of a conviction or try to find the most effective method of defence for you. Our team at Ashmans Solicitors are dedicated to helping guide your case from moment you call us. This starts when you ring us the first time and will end only when we’ve provided you with the most effective finish.  Whether you’re slapped with murder, manslaughter, GBH, robbery, burglary or a variety of other charges, you’ll want the best criminal solicitors in Sheffield looking after your case. If you’d like to get started and banish the worry you’ve got, speak to us today.